Now that we can shoot enemies, we need to give them a chance to shoot back. Similar to the way we defined bullets for the player, we define a collective list of bullets for all of the enemies. 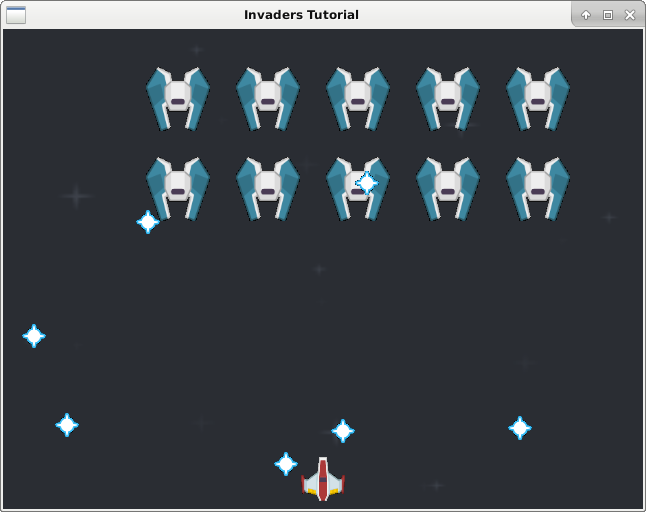 Each frame an enemy will have a chance of firing a bullet. If that condition holds true, then we will attempt to fire a bullet. We will iterate over the list of enemy bullets, and if a space is in active, we will set it to the position of the enemy and activate it.